Located in the heart of Kaifeng's ancient capital of Northern Song Dynasty, hotel blends cultural touchstones, architectural traditions and contemporary style to reflect the city's compelling culture, history, art and vibrancy of true Pullman. Its structural form is inspired by an ageless ancient Chinese concept and blends with the surrounding abundant landscapes. 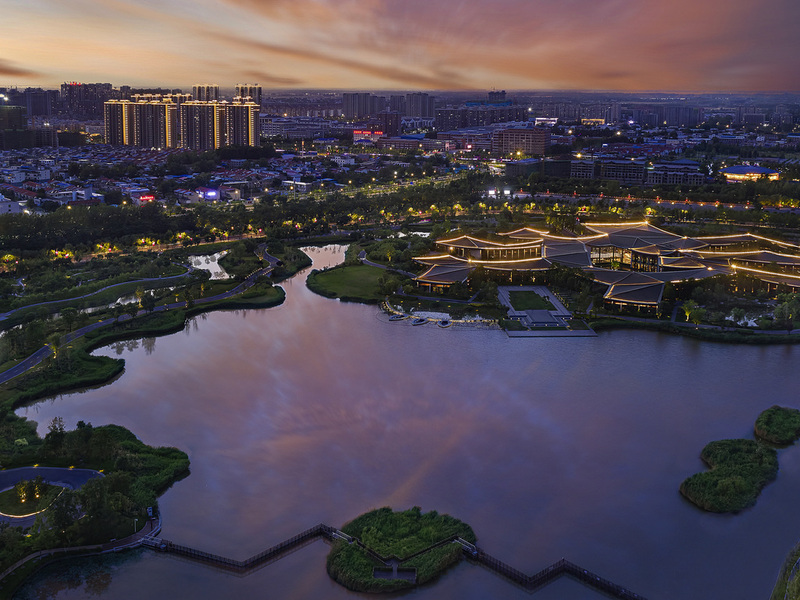 Pullman Kaifeng Jianye is part of the unique MyResorts program that provides exclusive resort experiences for Le Club AccorHotels members. Enjoy refined Cantonese cuisine, Henan cuisine and our signature Kaifeng local dishes in this elegantly decorated restaurant. Each dish is made with the freshest ingredients of the highest quality. The Dining Restaurant has an open interactive kitchen. It serves a Western and Eastern a la carte menu and an international buffet in an elegant and relaxing ambience. It provides buffet breakfast and daily themed lunch and dinner. Our sophisticated Lobby Lounge is the perfect place to enjoy freshly brewed coffee, specialty teas and refreshing cocktails. Sample the large variety of snacks on offer, while you enjoy our live entertainment. Enjoy fine wines and champagnes from different parts of world. The bar also offers the opportunity to participate in an interactive tasting session.